Involving an appreciation of fine food and drink. The EPIC guest has tasted the best and settles for nothing less. Creatures of pleasure, they live for sensual and sensory adventures, and find others like themselves. From the creators of Manila’s pioneering & legendary clubs Embassy and Republiq, and the country’s hottest super clubs Valkyrie, Xylo, Revel and The Island, EPIC Boracay is undisputedly Boracay Island’s premier hotspot, where epicureans are treated to an experience like no other. The epicenter for world-class beach cuisine and unparalleled clubbing, the EPIC BORACAY experience offers a seamless journey all in one tropical dream escape! EPIC BEACH CUISINE satisfies every epicurean’s craving for a culinary adventure, served all day to late night, while the EPIC BEACH CLUB delivers the ultimate exhilarating night out in Boracay until sunrise! Centrally located along the beachfront of world famous White Beach, the newly refurbished, environmentally conscious two-story haven offers modern seaside interiors that open up to the magnificent views with a mezzanine balcony overlooking each breathtaking sunset. Enjoy a front row seat while indulging in a delightful epicurean feast and savoring the most exquisite signature cocktails! By night, the fully air-conditioned beach club delivers a sensory experience unlike any other within the soundproofed glass walls, with heart thumping beats from the country’s top DJs. BOOK A TABLE to “Dine, drink, and dance” at Boracay Island’s premiere hotspot where there’s always something happening on any given night of the week, all-year-round. Epicurean Beach Cuisine represents a culinary journey into the heart of every Boracay holiday, with dishes that are perfectly expressive of the magical alchemy of sea, sun and sky. The all-day and all-night dining restaurant is an epicurean dream from brunch to dinner, and throughout the night until closing time. EPIC’s brilliant menu was masterfully created by Chef Carlo Miguel, the genius behind Manila’s top tables – Draft Gastropub and The Brewery at The Palace, offering fresh, bold island flavors that promise to be the culinary highlight of your Boracay trip. By 10PM, the spacious indoor Main Dining Room with its modern beach architecture and large air-conditioned bathrooms, and the expansive outdoors are transformed into a Beach Club that attracts those looking for a chic beachfront lounging experience below the most massive disco ball on the island, or a place to experience the electricity of a full-on night out in Boracay, right smack at the epicenter of the action, dubbing Epic Beach Club as the EPICenter of Boracay’s thriving nightlife. The place to see and be seen, the sprawling outdoors offer a chic lounging experience, while a Private Room is available for private parties. Resident DJs ACIDBURN, ADN and FREDDY M serve-up dance music all night long, with featured guest DJs to spice-up the party to fever pitch proportions! 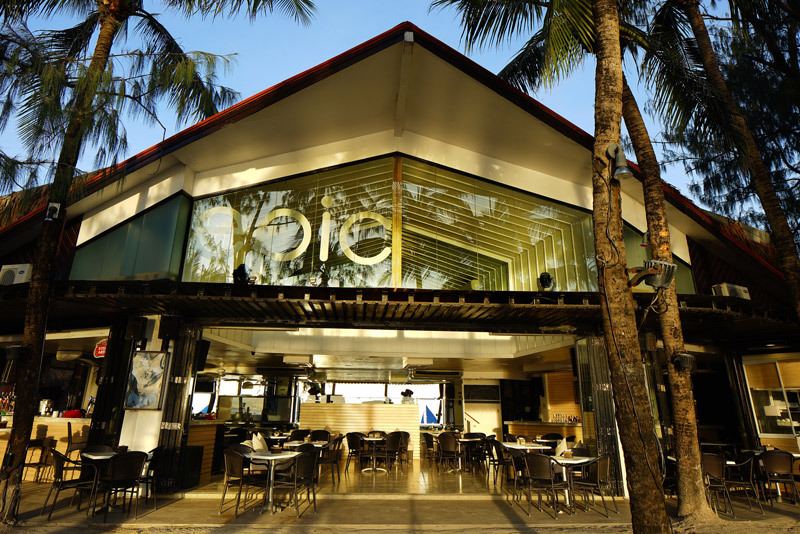 *EPIC Boracay is available as a venue for private events and functions.